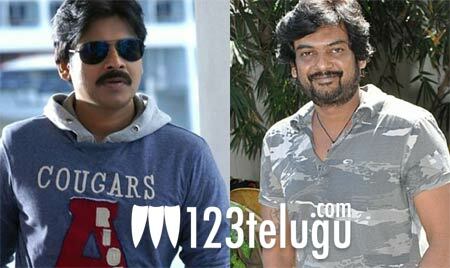 Puri Jagannadh has given a bumper offer to Pawan Kalyan’s fans, something which are going to cherish forever. One of the scenes in Pawan Kalyan’s upcoming film Cameraman Ganga Tho Rambabu requires Pawan Kalyan to mingle with hundreds of people. During the discussions, someone suggested that Pawan Kalyan’s fans can be given this opportunity and Puri Jagannadh found the idea quite exciting. Even Pawan Kalyan has given a go ahead to shoot this scene with hundreds of Pawan Kalyan’s fans. Apparently, the scene would be shot at two different locations which will be finalized soon. Meanwhile, the latest schedule of Cameraman Ganga Tho Rambabu began yesterday and the shooting is going on full swing. Pawan Kalyan and Tamannaah are playing the lead roles in the film. Pawan Kalyan is playing the role of a journalist in the film and it’s said to be a satire on media. DVV Danayya is producing it. The film is going to hit the screens on October 18.